Let's be honest, Easton is a powerhouse name in athletic sports equipment and games in many countries throughout the world. Headquartered in Van Nuys, California, Easton has 31 facilities worldwide. Easton is so widespread that you can even find their products in professional sports such as the NFL and MLB. 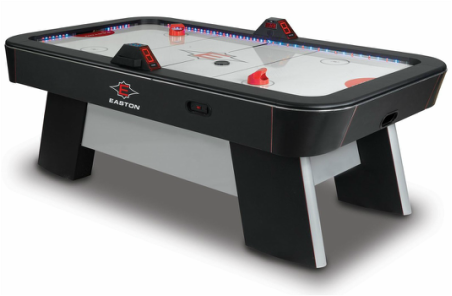 They are less known for making table games, even though they do offer this air hockey model and a foosball table within their product line.